After the request of many people, there it is! 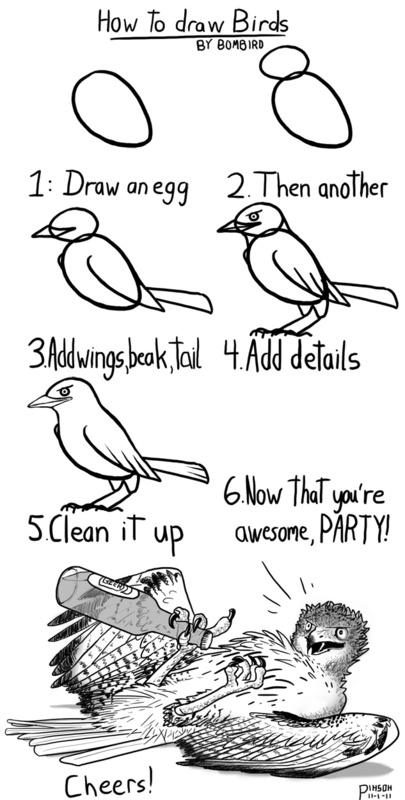 Bombird presents: HOW TO DRAW BIRDS by bombird. It was mostly an excuse for drawing a confused red tailed hawk and an angry grackle.